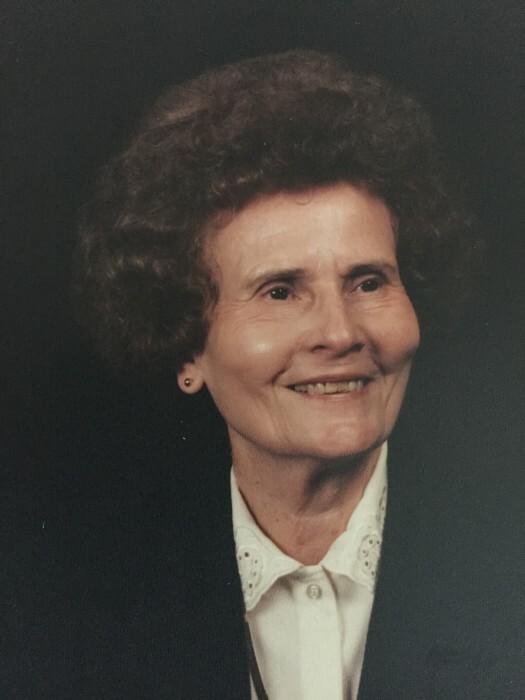 BETTY WEST HUMPHRIES age 91, of 9251 Virgilina Road, Roxboro, NC died Sunday morning, January 20, 2019 at her home. Mrs. Humphries was born July 29, 1927 in Person County, NC, daughter of the late Hillman Payton & Elizabeth Poole West and wife of 71 years to the late, John Franklin Humphries. Retired from Crown Crafts and also previously worked in the Bethel Hill School cafeteria. She loved the Lord and was a member of Five Forks Baptist Church for many years until moving her membership to Triple Springs Baptist Church. She enjoyed singing in the choir and working with the children. She was known as a hard worker who could be seen working in her flowers and garden or sweeping the driveway which she did nearly every day. In addition to her parents and husband, Mrs. Humphries is preceded in death by two sisters, Drucilia Walker, Edna Carr, three brothers, John Merritt West, Joe B. West, Kenneth West, and a great granddaughter, Kyleigh Welch. Funeral services will be conducted at 11:00 a.m. Wednesday, January 23, 2019 at Triple Springs Baptist Church with the Rev. Donald Harris. Interment will follow in the church cemetery. The family will receive friends and guests Tuesday, January 22, 2019 from 6:30 till 8:00 p.m. at Strickland and Jones Funeral Services and other times at the home. The family would like to extend a special thanks to Carolyn Lowery, Mary Frances Newton, and Betty Elliott for sitting with her when needed, to Amedisys Hospice of Franklinton, NC for their assistance and especially Crystal Martin and Lakeisha Steed for the kindness and care that they provided.